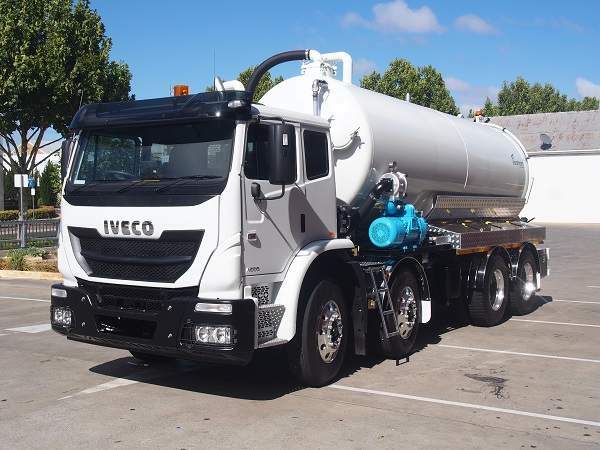 Every now and then there are new concerns and applications in the world of liquid and semi-solid waste hauling. Vorstrom continuously responds to the call with its range of purpose-built vacuum trailer products. Customers choose our units because they know we understand their challenges, and we have the engineering experience and manufacturing capacity to deliver the severe-duty equipment, service and support they desire – every time, everywhere. This 24000-litre capacity trailer fitted vacuum unit is equipped with a 940cfm blower pack, a 100mm primary and secondary shut-off system. The tank is made of 8mm barrel metal and has a 100mm top load brass lever valve and 150mm rear brass lever discharge valve installed. With a full opening rear door and a front mounted hydraulic hoist, this equipment is a superb add-on to your industrial fleet. This equipment is built to boost hauling capacity and transfer large volumes of payload and can be utilized in combination and support of other onsite vac-units to further increase payload and jobsite operational capacity. See FULL FEATURES for details. 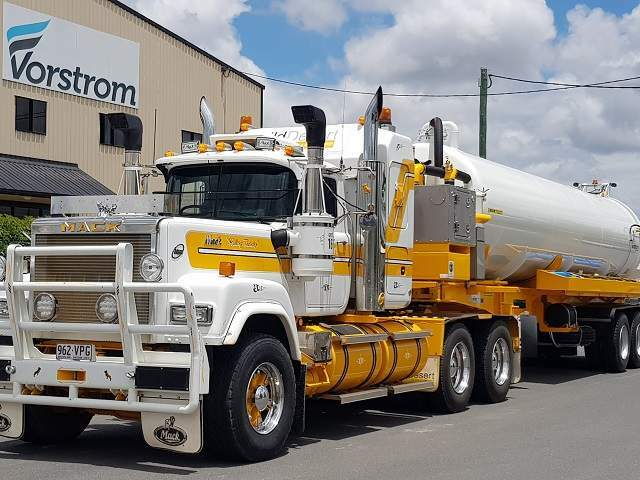 – Mounted to an Australian Made Tri axle trailer. – Lead compatible trailer with hitch and air/electrical to rear of trailer. 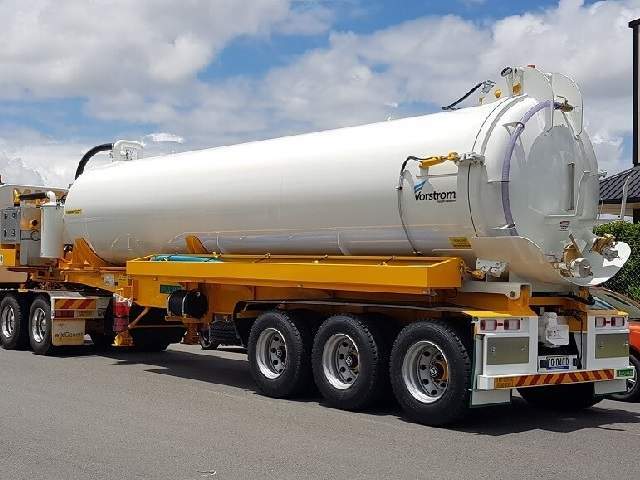 Vorstrom vacuum trailers are designed to handle a variety of loads and needs, from medium to heavy duty vacuum trailers, we certainly have just what you need to deliver results. And, as always, our equipment is backed by 12-month workmanship warranty with exceptional customer support service. Our products are manufactured to suit the relentless needs of your projects. Our high-quality workmanship coupled with technical proficiency assures longevity and satisfaction. Vorstrom team of experts work industriously to create a unit that adheres to the needs of your projects. Each equipment undergoes rigorous testing to attain the highest standard in quality.